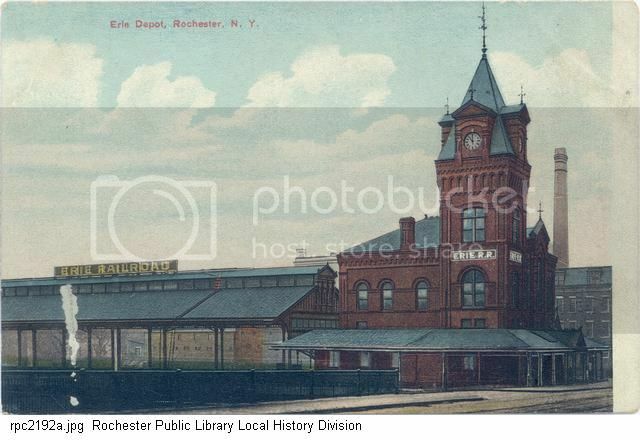 I am doing research about the Erie Railroad Rochester Division (Rochester-Painted Post/Corning). Where can I find employee timetables that cover this line? Was the Rochester Division combined with others? I am interested in acquiring an employee timetable from 1939, but also interested in other eras as well as the Division was cut back and reduced. Perhaps you could try contacting the ELHS? I'm sure they'd have timetables for the Rochester Division somewhere in their archives. By the way, that link was perfect as it had a Rochester/Buffalo Div. ETT from 1939... Thank you, that helps me know what I'm looking for! Erie to Drop Avon Service After Today -- Final Passenger Train to Leave at 6:15 p.m.
Eighty-seven years of Erie Railroad passenger service for Rochester will come to an end at 6:15 p.m. today, when the last train leaves the Court St Station for Avon. But increased freight business in and out of Rochester means a virtual rejuvenation of the line, which once had frequent passenger service to points south of the city in the Genesee Valley. 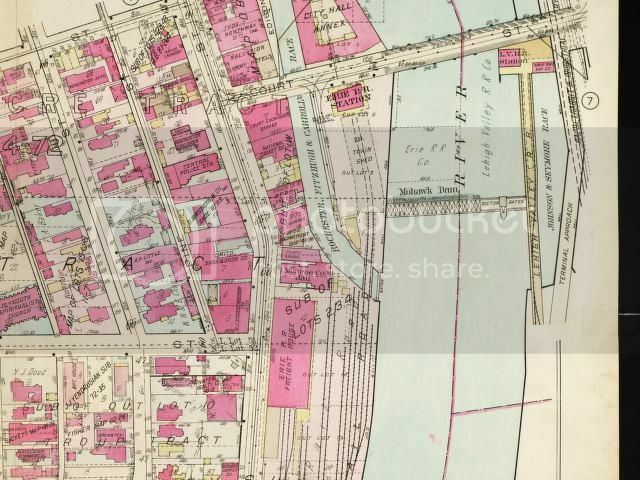 All the Rochester personnel of the passenger department is being absorbed by the freight agency because of heavy shipping, James H. Higgins, local representative s of the Erie, pointed out. The Erie received permission from the Public Service Commission to abandon its Avon-Rochester passenger service because of poor financial return. In return, the PSC authorized Valley Bus Lines to operate a bus line via West Henrietta Road into Avon. The line seeks to change its route to the East river Road, which parallels the Erie tracks along a great part of the way to Avon. station on Court Street on the west side. Later the BR&P came to the west side also, but the NYC moved to the east side. The LV came last and stayed on the east side. PRINCIPAL FREIGHT CONNECTIONS;Buffalo;CN,N&W,B&O,PC,THB,SB,BCK;Niagara Falls and Lockport;PC, Niagara Falls,Buffalo; C&O;Silver Springs;B&O;Batavia;PC,Caledonia;PC,G&W,LV,B&O.